Hearing voices in the head, or auditory hallucinations as it is medically known, is often a coping mechanism following some sort of major stress. Reasons for auditory hallucinations vary, ranging from brain damage and bullying to sleep deprivation and Post-Traumatic Stress Disorder (PTSD). Being in the military and serving as a soldier can result in PTSD. (1) Combat Stress is a charity set up to treat veterans who are suffering from PTSD and help them overcome the stress and anxiety they suffer after serving in the military. One result of PTSD, is hearing voices in the head. Auditory hallucinations are described as a false perception of sound. (2) Medical Daily notes, between five and 13 percent of adults ‘hear voice’ in their heads at some point in their lives. Technology and electronic weapons available to foreign agencies, which could be used by foreign governments and other organizations to target former military members and, in some instances, cause psychological damage such as auditory hallucinations. A report in (3) Wired talks of how the Air Force has experimented with microwaves that generate sounds in people’s heads, with the view that such techniques could be used as a potential psychological warfare tool. It’s not only the Air Force that has been experimenting with hyper sound and deliberately blasting sound into people’s heads. 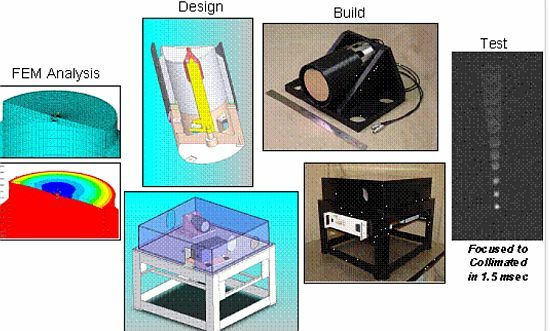 The Defense Advanced Research Projects Agency is currently involved in a ‘Sonic Projector’ program. The Sonic Projector is designed to provide “surreptitious audio communication” to Special Forces over a distance of 1 kilometre. The projector will be a man-deployment system, which incorporates powerful acoustic transducer technology and algorithms that process signals, resulting in non-intelligible sound at an intended target. Further evidence that officials may be deploying this advanced acoustic technology to deliberately put sounds into the heads of enemies or former military members, can be found in a declassified army document. The (3) “Bioeffects of Selected Nonlethal Weapons” relates to a series of technology developed by the military, including equipment that can transfer radio frequency energy into a human target. The radio frequency energy is perceived as sounds in the brain and absorbed into the target’s body. This type of technology, once fully developed, could be used both positively, as a means of silently transmitting messages to hostages, and as weapons, designed to drive its victims insane through relentless voices in the head. It may sound far fetched, but this isn’t the first time government officials have been implicated with deliberately causing psychological damage to victims. An alleged example of psychological torture (4) involves Donald Friedman, who walked into an FBI agency in California, demanding that agents admitted to crimes they had carried out to him and his family. According to Friedman, the FBI arranged to have him molested at the age of 13. An electromagnetic radiation-based weapon was fired at Friedman and his father, causing his father to develop prostate cancer, which eventually killed him, claimed Freidman. Despite being diagnosed by two psychologists as schizophrenic, Friedman insisted he had been the victim of the microwave auditory effect and filed another Freedom of Information Act. The FOIA assertions filed by Friedman related to the microwave hearing effect. However insane Friedman’s assertions seemed, they did uncover some interesting facts related to psychological weaponry. An official government document of the research and development of such technology, spoke of the potential of the microwave auditory effect. “Because the frequency of the sound heard is dependent on the pulse characteristics of the RF energy, it seems possible that this technology could be developed to the point where words could be transmitted to be heard like the spoken word, exect that it would only be heard within a person’s head,” states the government document. Could it be that hyper sound and powerful sonic projectors is the latest technology being surreptitiously developed by intelligence agencies to act as powerful warfare weaponry by deliberately rendering the enemy insane? How many seemingly “insane” individuals are actually the result of such technology? For goodness sake, it’s not a hallucination. Thousands, probably millions, of people all over the world are targeted by psychotronic weapons. It’s not exactly a new phenomena. I can’t understand why writers who choose to cover the problem choose namby-pamby avoidance words like “hallucinations”. Just state the truth: not-so-secret forces deliberately drive people mad by deliberately projecting voices and images into the minds of their targets. Remote forces also make attempts to control the muscular as well as neuro-networks of targets, and have succeeded in making men walk to the tops of buildings and jump off – by actually controlling the limb and muscular movements of a poor man. It is murder. Generally, people targeted worst are highly intelligent and caring persons with leadership qualities. The secret forces don’t like independant operators, wish to control their own forces including ex-service forces, and will target innocent “subjects” simply for the sake of proving they have the capability to do so. Psychotronic weapons were developed by people who killed kittens.